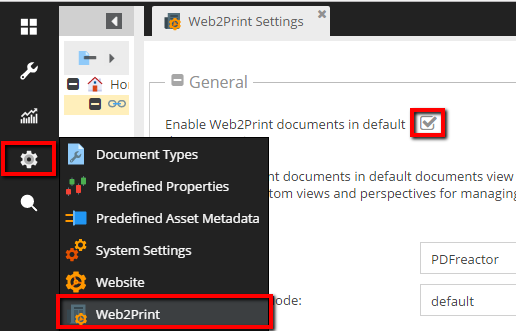 Both web-to-print documents have an additional tab that is the place for rendering documents to print-ready PDFs. 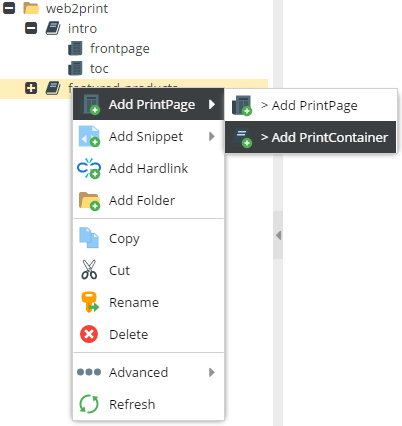 When rendering, the print is first rendererd to HTML and then rendered to an PDF. PDF rendering itself is done by an third party renderer. Currently we support wkhtmltopdf and pdfreactor. Please see their documentation for details concerning template possibilities. 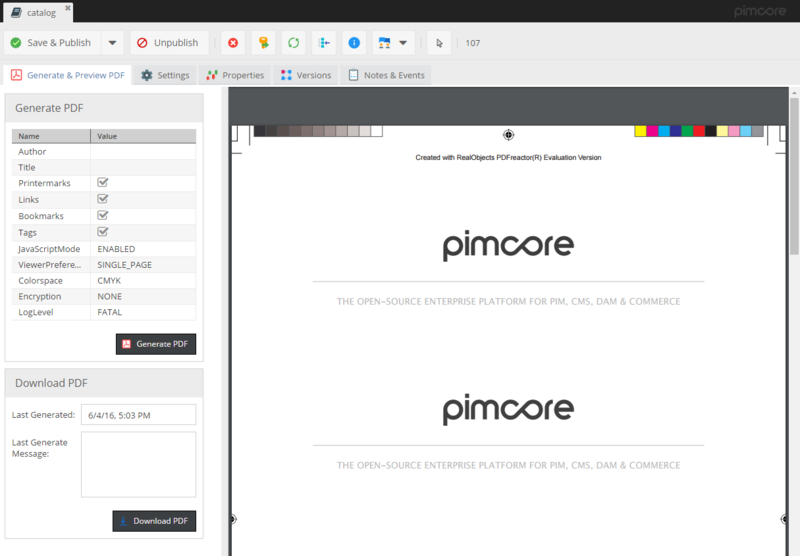 To test and debug the PDF rendering, open a Print document, go to the tab "Generate & Preview PDF", click the "Generate PDF" button and observe the message field for any errors. 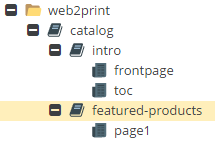 var/logs/web2print-output.log - contains output of rendering PHP process (if any). It is recreated on every rendering process.